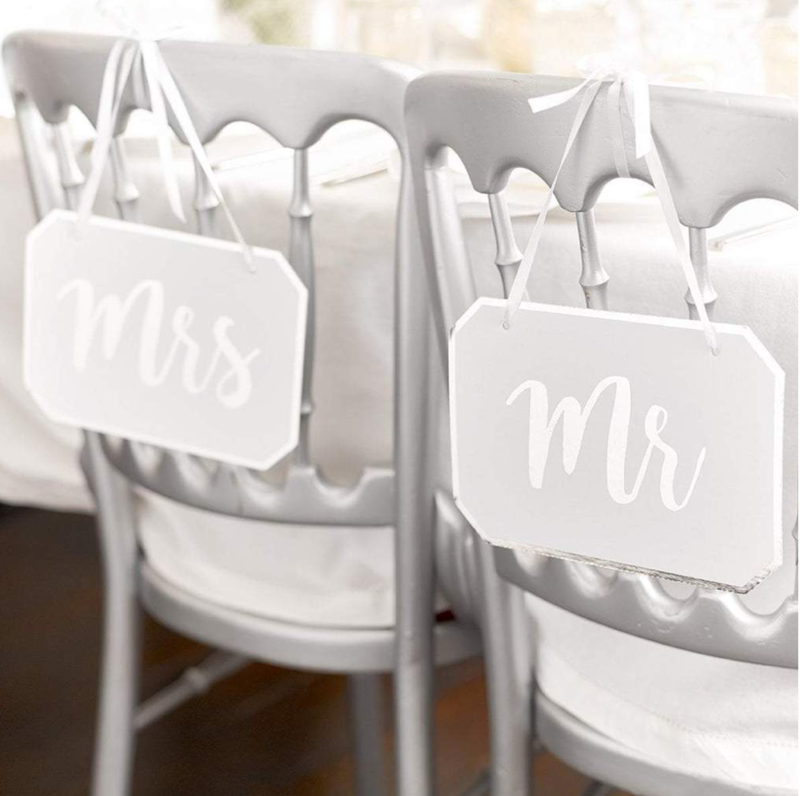 This decorative hanging sign is the perfect addition to a wedding reception, for your own celebration or as a gift to the bride or groom. 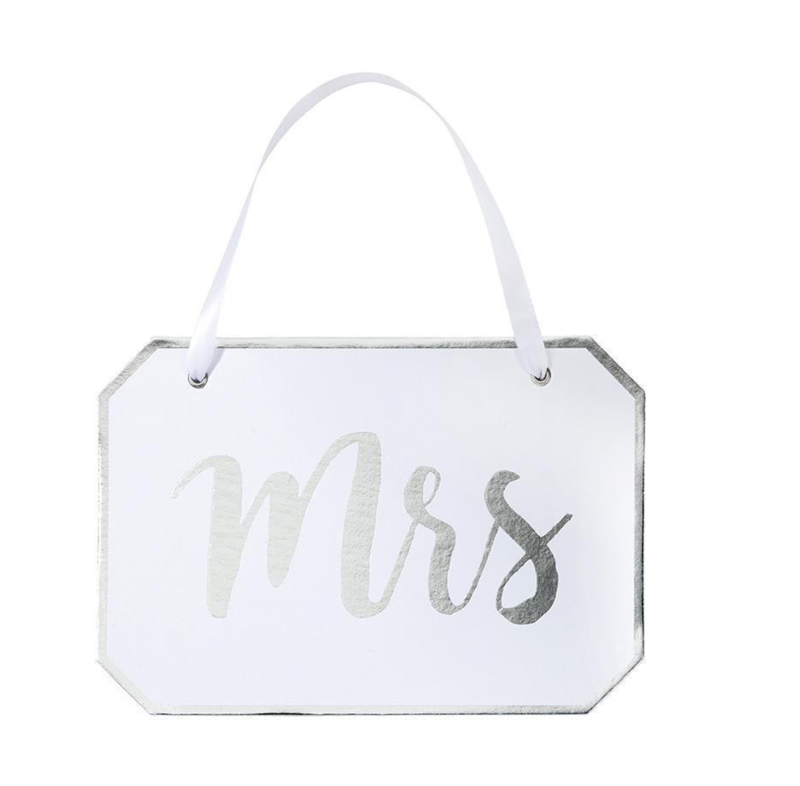 Featuring stunning foil detail, this sign can be kept as lovely house décor for remembering the special day! See also the matching ‘Mr’ hanging decoration. Size: 22cm x 15cm.